The month long cycle tour in the Peloponnese of Greece was a great way to explore this part of the country. Mountains and beaches, ancient sites and lakes, the beauty of the Peloponnese of Greece is definitely best appreciated on two wheels! During the trip, I made a vlog a day which was added to my YouTube channel, as well as creating several blog posts. This page acts as the hub to each one. Below, you'll find the information divided into two sections. 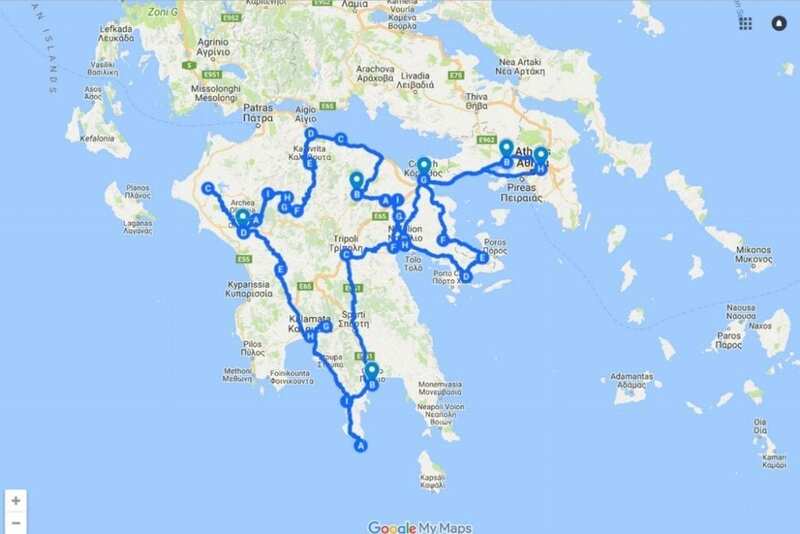 The first section, covers the preparations for the bike tour in Greece and explains it in more detail. The second, provides information on a day by day basis. If a link takes you to a blog post, the daily cycling vlog will be embedded inside. If there is no blog, the link will take you straight to a cycling vlog post from the Hercules bike tour. Index of bike touring blog posts related to the Herculean bike tour. Introduction – In this post, I write about the concept behind the bike tour. Included are some of the key locations I will be visiting in the Peloponnese related to the 12 Labours of Hercules. 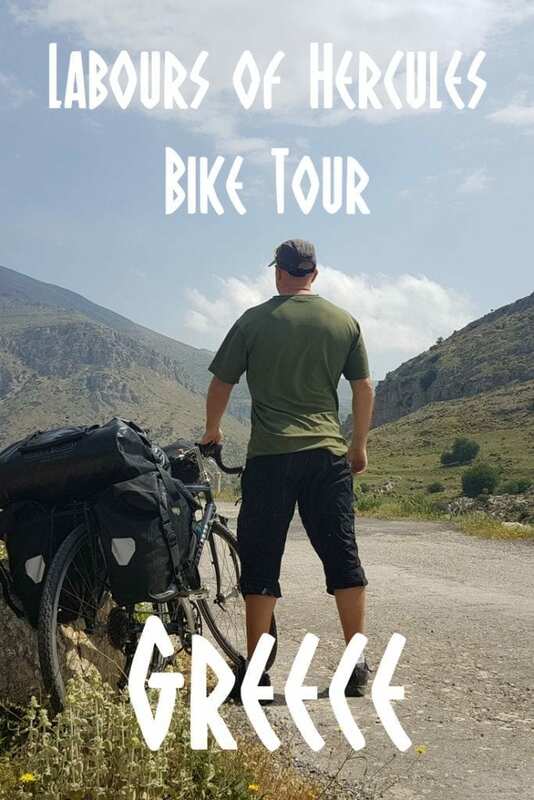 Route – In this post, I go over the route for my Hercules bike tour of the Peloponnese. Embedded in the blog post is a video that also describes the route. Bike Touring Gear – A look at the bike touring gear I will be taking with me on my cycling trip around the Peloponnese. Much of this gear I have mentioned in similar bicycle touring gear lists, but this one is unique to this tour. 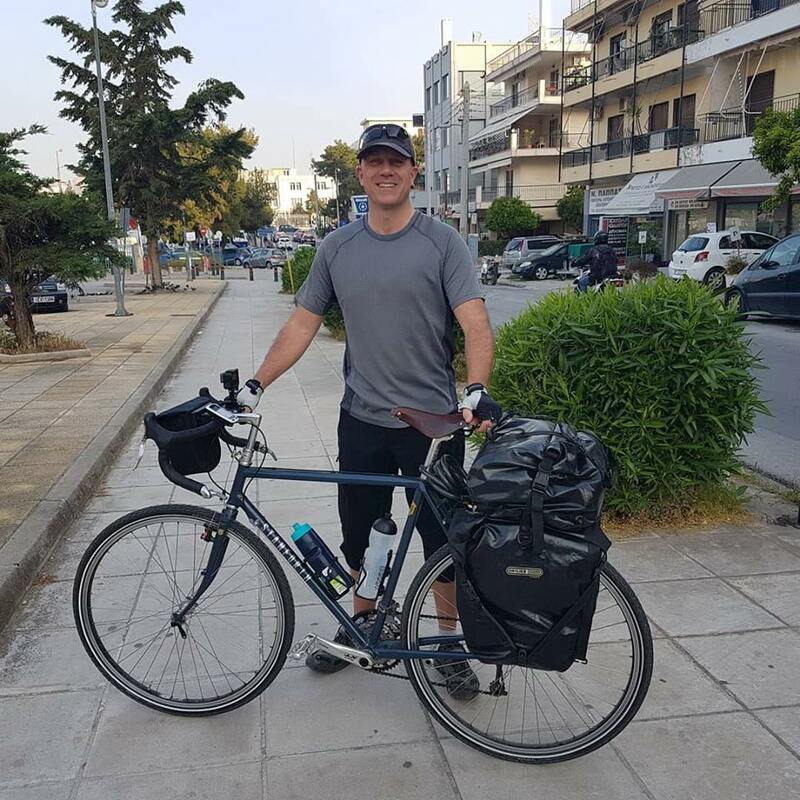 The Bicycle – I'll be using the Stanforth Skyelander on the Herculean bike tour around the Peloponnese in Greece. For a day by day breakdown of the bike tour, take a look below. Wow! What an experience. I only wish I had the time to do something similar. Good luck! Tbh Dave I can’t wait for your trip to begin, I have only scratched the surface of the Peloponnese, I want to indulge my cravings through your videos and blogs. I hope to do it some justice through this tour! Everything is almost packed and ready – Leave tomorrow!